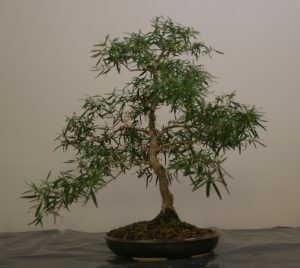 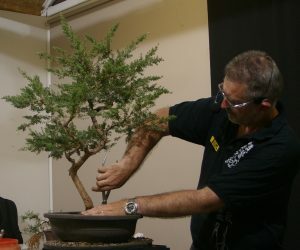 The April meeting was very good night of looking again at the basics of growing bonsai. 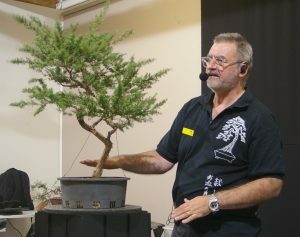 Gerard Schoofs gave an excellent presentation, with demonstration and plenty of discussion, covering all of the essentials for growing bonsai – pots, potting mixes and their essential components, watering practices, repotting, fertilizers, and wiring. 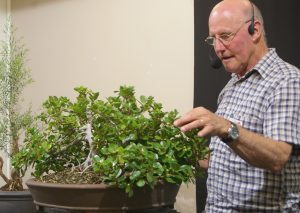 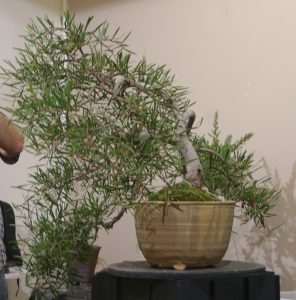 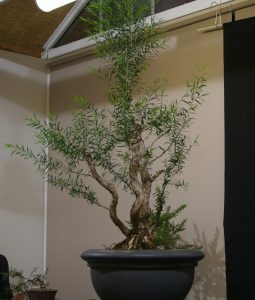 The presentation included a demonstration repotting of a Leptospermum lanigerum (Woolly Tea Tree), which helped illustrate all of the essentials covered by Gerard in his pictures and talking. 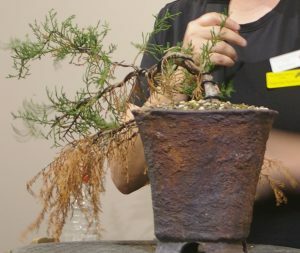 This was an excellent session to review and reconsider how we approach establishment and development of our native species Bonsai. 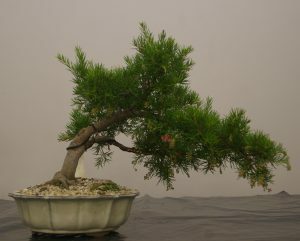 We also had a good range of trees on the display table, and a “Show and Tell” session including the following trees.